Since most people only purchase a few fences in their lifetime, we often have customers looking for fence installation in Murfreesboro, TN who come to us very unsure about what they want or need in a new fence. Other customers are set on a certain type of fence only to change their minds once they learn about all of our options. No matter where you are in the process of deciding what you want, we can help you. Here at Middle Tennessee Fence, we know fences and we want to give you unbiased, non-salesy information to help you make the best decision for your next fencing project. 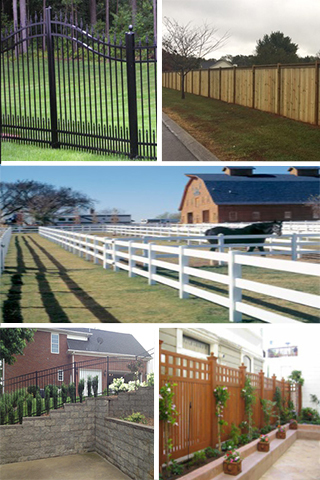 Fence installation in Murfreesboro, TN doesn’t have to be overwhelming or stressful. Our fencing experts will walk you through the steps of decision-making, from fencing material options to gate inclusion to fence location, and then they will provide you with a professional and expert fence installation. Murfreesboro, TN residents know that they can rely on Middle Tennessee Fence for incredible services and professional fence installation. Murfreesboro, TN homeowners can choose from a variety of fencing options to improve the look and security of their home. We offer fence installation for wood fencing, aluminum fencing, vinyl fencing, chain link fencing, farm fencing, and more. We will help you weigh the pros and cons of each fencing type and help you make the best decision for your particular needs. We can also perform gate installation, porch and deck railing installation, and brick and stone column installation. No matter what type of fence installation Murfreesboro, TN residents need, Middle Tennessee Fence is here to provide a fantastic and affordable solution. When you’re ready to discuss the next steps and plan for your fence installation in Murfreesboro, TN or the surrounding area, get in touch with us at Middle Tennessee Fence. We’d love to be your go-to fencing company and help you create a more appealing and a safer outdoor space.